This new textbook has an international authorship and is a practical, up-to-date resource for clinicians responsible for the care of children with oncologic and malignant hematologic disease. It is specifically designed for practicing oncologists and hematologists, pediatricians with an interest in childhood cancer and trainees seeking a systematic approach to these disorders. This new textbook has an emphasis on the visual presentation and ease of reading of contemporary and comprehensive information for children’s cancers and contains detailed tables, fact boxes and illustrations. 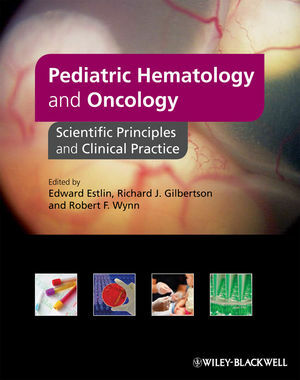 The textbook begins with an introduction to the general principles of the scientific foundation and treatment of childhood cancers and hematological malignancies. Separate sections are then devoted to descriptions of central nervous system tumors, hematological malignancies and solid tumors of childhood which encompass epidemiology, cellular and molecular biology, cancer genetics, immunology, pharmacology and the findings of clinical trials. For each area of science covered, key original references and reviews are highlighted to direct further reading. Diagnostic, biological, and therapeutic issues are integrated into each tumor-specific chapter, with evidence supporting the current rationales for risk stratification and the development of novel therapies. A final section then explores supportive care, palliative care, late effects considerations and psychosocial issues as relate to children’s cancer. 1 Introduction (Edward J. Estlin, Richard J. Gilbertson and Robert F. Wynn). Part I Central Nervous System Tumors of Childhood. 2 Low- and High-Grade Glioma (Ian F. Pollack). 3 Ependymoma (Thomas E. Merchant and Richard J. Gilbertson). 4 Embryonal Tumors (Amar Gajjar and Steven C. Clifford). 5 Pediatric Spinal Cord Tumors (Annie Huang, Ute Bartels and Eric Bouffet). 6 Pediatric Craniopharyngioma, Mixed Glioneuronal Tumors, and Atypical Teratoid/Rhabdoid Tumor (Adrienne Weeks and Michael D. Taylor). 7 Acute Lymphoblastic Leukemia (Robert F. Wynn). 8 Acute Myeloid Leukemia and Myelodysplastic Disorders (David K.H. Webb). 9 Non-Hodgkin’s Lymphoma (Angelo Rosolen and Lara Mussolin). 10 Hodgkin's Lymphoma (Wolfgang Dörffel and Dieter Körholz). 11 Histiocytic Disorders (Sheila Weitzman and R. Maarten Egeler). Part III Solid Tumors of Childhood. 12 Neuroblastoma (Sucheta J. Vaidya and Andrew D. J. Pearson). 13 Renal Tumors (Edward J. Estlin and Norbert Graf). 14 Soft Tissue Sarcoma (Gianni Bisogno and John Anderson). 15 Bone Tumors (Richard Gorlick, Martha Perisoglou and Jeremy Whelan). 16 Hepatic Tumors (Penelope Brock, Derek J. Roebuck and Jack Plaschkes). 17 Germ Cell Tumors (James Nicholson and Roger Palmer). 18 Retinoblastoma (Edward J. Estlin, François Doz and Michael Dyer). 19 Rare Tumors (Bernadette Brennan and Charles Stiller). Part IV Supportive Care, Long-Term Issues, and Palliative Care. 20 Supportive Care: Physical Consequences of Cancer and its Therapies (Bob Phillips and Roderick Skinner). 21 Psychosocial Needs of Children with Cancer and Their Families (Ged Lalor and Louise Talbot). 22 Late Effects in Relation to Childhood Cancer (Louise Talbot and Helen Spoudeas). 23 Palliative Care (Lynda Brook). 24 Clinical Trials Involving Children with Cancer – Organizational and Ethical Issues (Sue Ablett and Edward J. Estlin).